Social Security benefit provisions are so devilishly complex that I’ve come to believe that Satan, himself, had a hand in their construction. The "simple" formula for determining the total benefits received by a married spouse involves 10 distinct mathematical functions, one of which is in four dimensions. And there are additional complex functions that circumscribe the arguments entering into the 10 primary functions. Here’s what this monster looks like in the case of a married spouse. B(a) stands for the benefit of the spouse at age a. I won’t burden you with the meaning of the other functions and their arguments. And, after you work out these functions and the functions governing these functions, you have to run a potentially enormous number of cases through these functions to determine which collection start dates for which benefits will produce the highest lifetime income from Social Security. A less user-friendly system of saving and insurance could not be devised – not even by the Russians, who know a thing or two about bureaucracy. Every ardent defender of Social Security, who believes the system’s every provision is sacrosanct, should spend an afternoon with its Program Operating Manual System followed by a test on what she’s learned. She, too, would start cursing the devil and praying for deliverance. But let me not go any further there. My goal is not to recruit for the Tea Party (of which I am not a member). My goal is to provide general guidance for getting the most out of Social Security. Here are the three general rules to higher lifetime benefits. A. Take Social Security’s really good deal, namely waiting to collect much higher benefits over somewhat fewer years. B. Take spousal, survivor, mother/father, and child benefits, which may be available to you based on your current or former spouse’s earnings history. C. Make sure that doing A doesn’t undermine doing B and that doing B doesn’t undermine doing A.
Here’s why A – taking much higher benefits over somewhat fewer years -- makes sense. Social Security actuarially reduces benefits if taken early and actuarially increases benefits if taken late. This is a big deal. Retirement benefits starting at 70 are 76 percent higher than starting at 62. Spousal benefits are 43 percent higher at full retirement age than at 62. And survivor benefits are 40 percent higher at full retirement age than at 60. True. But you’ll be dead. Furthermore, you’ll be in heaven (thanks to cursing the devil). In heaven you’ll have tons of virgins or whatever you like and no need for money. The real danger is not dying, which is heaven. The real danger is living. Indeed, the very worst thing that can happen to you, financially speaking, is living as long as possible because you’ll need to keep paying that long for all the necessities and pleasures of life. The obvious caveat here is if you are dead sure you will die in the near term, say before age 80. In this case, taking benefits early may make sense. But even in this case, delaying retirement benefit receipt through age 70 has a payoff, namely potentially providing your current and former spouses with much higher survivor benefits. Rule B – availing yourself of other available benefits – is an even bigger no brainer. More is more. If you can get extra benefits for yourself or your family members at no cost in terms of your own retirement benefit, go for it. Finally, rule C – making sure that following rule A doesn’t violate rule B and vice versa –is where the “fun” begins in figuring out which benefits to take when. If you take your retirement benefit at the same time you take a spousal benefit, one of the two benefits will zap the other, either in full or in part. The same’s true in simultaneously taking a retirement and a survivor benefit. The key to double dipping is to take the two benefits at different times and not lose anything because the benefit you take last has risen thanks to its actuarial increase. If you’re a widow or widower (including the widow or widower of an ex to whom you were married for 10 years or more), this just means being careful what you wish, I mean ask, for. Depending on the relative size of your own and your deceased spouse’s full retirement benefit, you either want to start your survivor benefit first and then switch to your retirement benefit or vice versa. 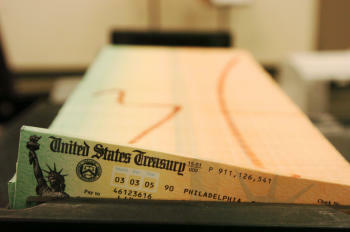 If you are or were married and qualify for a spousal benefit as a current or divorced spouse, your options, prior to reaching full retirement age, for taking your spousal benefit without simultaneous taking your retirement benefit, and vice versa, are severely limited by Social Security’s deeming provisions. This is where most of complexity enters into monster benefit formula. Once you hit full retirement age you have more flexibility. If you haven’t already taken your own retirement benefit, you can take your spousal benefit and put off taking your retirement benefit until age 70 when it will start at its highest possible value. Even if you have already started you own retirement benefit, you have the option to suspend it and start it up again at 70 at a 32 percent higher value. What’s best to do will depend on your individual circumstances. If you are married, what you can do will also depend on what your spouse does because your eligibility to collect a spousal benefit depends on your spouse either collecting his/her retirement benefit or having suspended its collection. And if you are divorced after 10 years of marriage, your ex has to be above 62 for you to collect a spousal benefit on his/her record assuming he’s/she’s collecting a retirement benefit or has suspended its collection. If he/she is over 62, but has done neither of these things, you can still go for your spousal benefit, provided you’ve been divorced for two years. The bottom line here is this. There is a lot of money to be made – ranging in the hundreds of thousands of dollars – to making the right lifetime benefit decisions. So before you head to the local Social Security office, and there are some 10,000 Baby Boomers doing this every day these days, know in advance what benefits you do and don’t want to apply for. If you don’t, the good folks at Social Security may do their best for you in terms of raising immediate benefits, but the worst for you in terms of maximizing your lifetime benefits. Laurence Kotlikoff is an economist at Boston University and President of Economic Security Planning, Inc. whose company markets Maximize My Social Security and ESPlanner (Economic Security Planner).